When I was a new wife and homemaker, there was this lovely shop downtown called The Sycamore Tree. I loved to go in there and browse all the beautiful things for sale and imagine making my home warm and cozy and super inviting. One display I loved to spend time at was the Yankee Candle® shelf. There were dozens of glorious fragrances of jar candles to choose from! 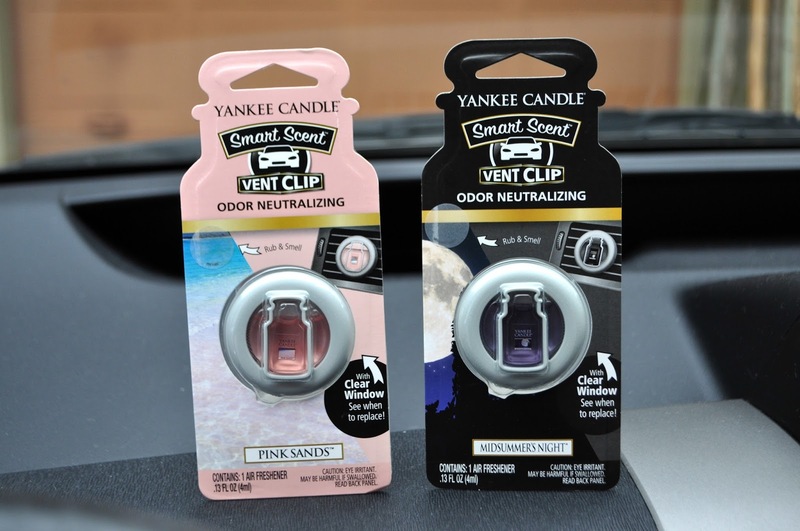 Now I can have Yankee Candle® brand products in my car with these new Smart Scent Vent Clips and Car Jar Ultimate hanging fragrances. Yankee Candle® brand Smart Scent Vent Clips and Car Jar Ultimate can be found in the Auto Fragrance and Air Care (near the laundry aisle) sections of Walmart. I found several great fragrances for $4.94 each in the Auto Fragrance aisle. 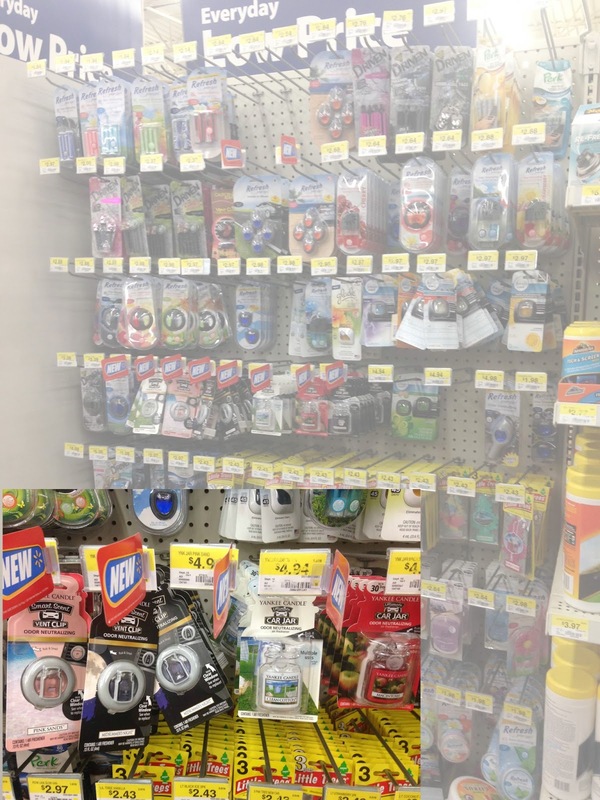 Check out the Walmart Assortment Page for a large variety of fragrances. In addition to the hanging jars, there are these neat vent clips. 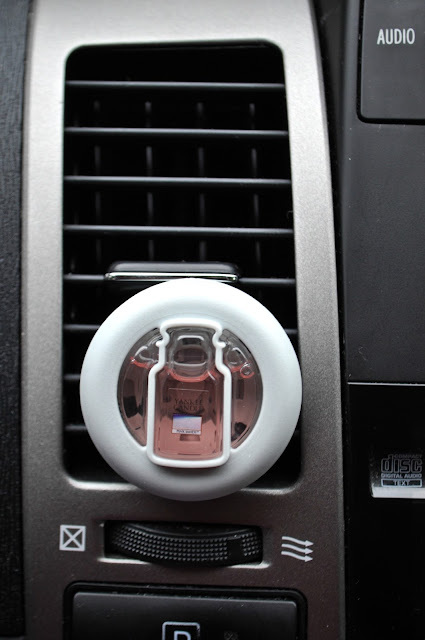 I love the innovative idea of these air fresheners. 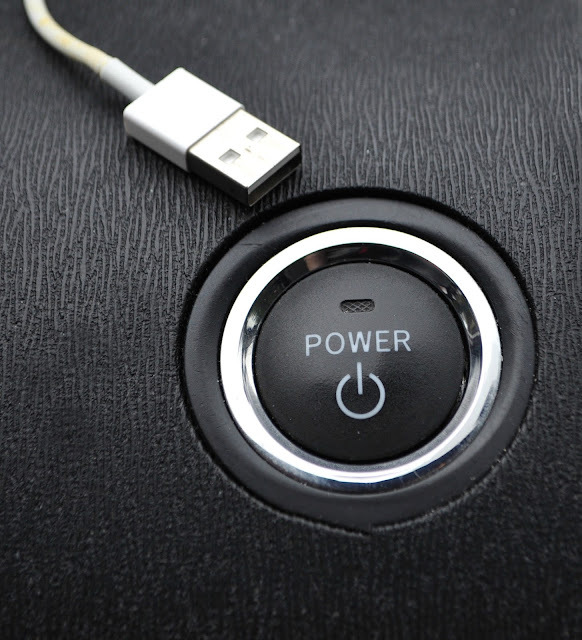 I make sure to have a separate charging cord for my phones---one that is designated for car only. This way I don't find myself forgetting to grab it from the house, resulting in a dead battery half way through the day. I love to listen to soothing music while I'm driving. 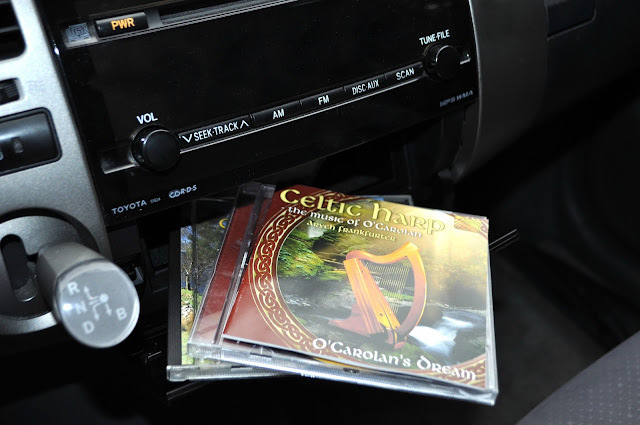 These Celtic harp CDs inspire me to creativity. It's also important to have some nutritious snacks and water. 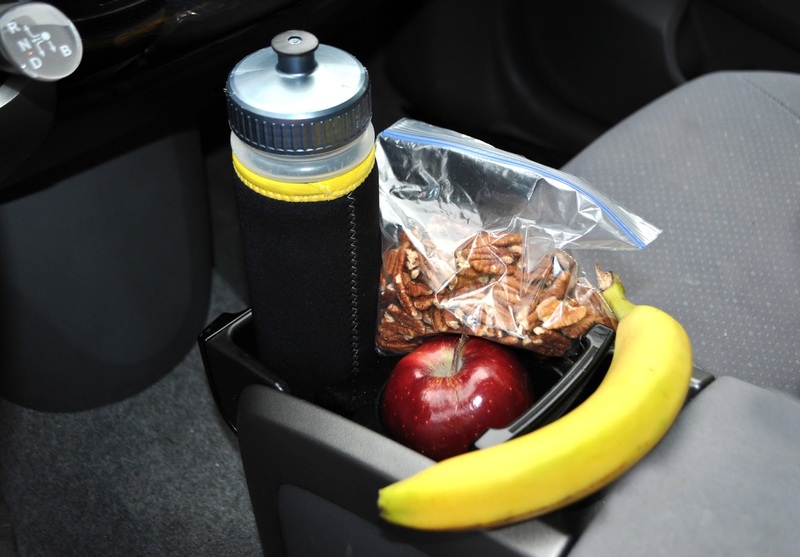 These help keep me awake and alert for safety---and are great for those really long waits in traffic. 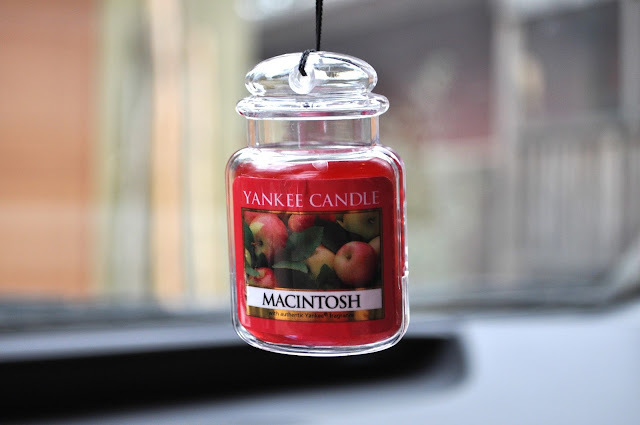 Do you have a favorite Yankee Candle® fragrance? Let me know in the comments below! I love anything with cinnamon! Your car looks clean and cozy!